A 25-acre property in New Orleans will soon become part of a series of small but important steps toward more effective and sustainable water management in the Big Easy. The Lafitte Blueway can re-charge groundwater, provide a new habitat for wildlife within the city, offer recreational opportunities, and restore the historical connection between Bayou St. John and the French Quarter. The rest is nondescript: patchy grass, muddy in places, with strands of oaks and pines here and there. Not much suggests that this 25-acre property in Gentilly, a mostly suburban neighborhood of New Orleans, will soon become part of a series of small but important steps toward more effective and sustainable water management in the city. Developed by architectural firm Waggonner & Ball in conjunction with economic development non-profit Greater New Orleans, Inc., the Mirabeau Water Garden will offer a range of benefits to the local community: a park to enjoy during dryer times; and, in wetter times, built-in reduction of flooding in their streets and homes. Mirabeau will provide stormwater storage and filtration through a system using wetland terraces and rain gardens, which will be valuable both for catastrophic events and, for less dramatic, more everyday storms that still overwhelm the drainage system. As architect David Waggonner explains it, Mirabeau will basically be “a big off-ramp,” with water coming down the slope, being pulled out and shunted from the system, and then treated in the space of the water garden. It will also be a site for ecological education geared toward increasing what the plans call “water literacy”—the understanding of water management and safety to foster a more positive relationship between the community and its water. 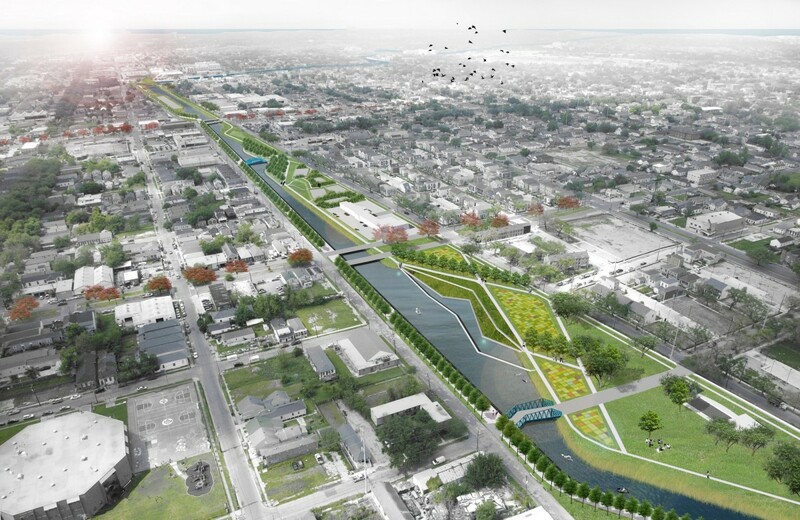 Mirabeau is the centerpiece of the forthcoming Gentilly Resilience District, a series of green infrastructure projects that was recently awarded $141 million by the National Disaster Resilience Competition. “The Resilience District concept is based on the idea that reducing our flood risk and creating community assets should happen at a variety of scales,” explains Jeff Hebert, chief resilience officer for the city of New Orleans. That means anything from individual homes to Mirabeau’s 25 acres. Gentilly experiences regular street flooding, and its drainage system is in serious need of an update. It’s one of many areas in the city facing these issues, but it was chosen for this initiative for other reasons too: First, the competition’s demographic requirements stressed the importance of cost-benefit analysis; winning projects are meant to maximize impact in vulnerable areas, and a mixed-income, mixed-race neighborhood like Gentilly fits the bill. Close to half of its households are low- or moderate-income, and more than half in the most vulnerable, low-lying areas where the projects will be focused. In addition, as the Times-Picayune noted, Gentilly resembles other American suburbs with groundwater retention issues where similar projects could prove useful. Projects like this, which aim to transform the city’s relationship with water — and the way residents conceive of that relationship — have become a priority for Waggonner & Ball since Hurricane Katrina, as The Atlantic reported in its profile of Waggonner. 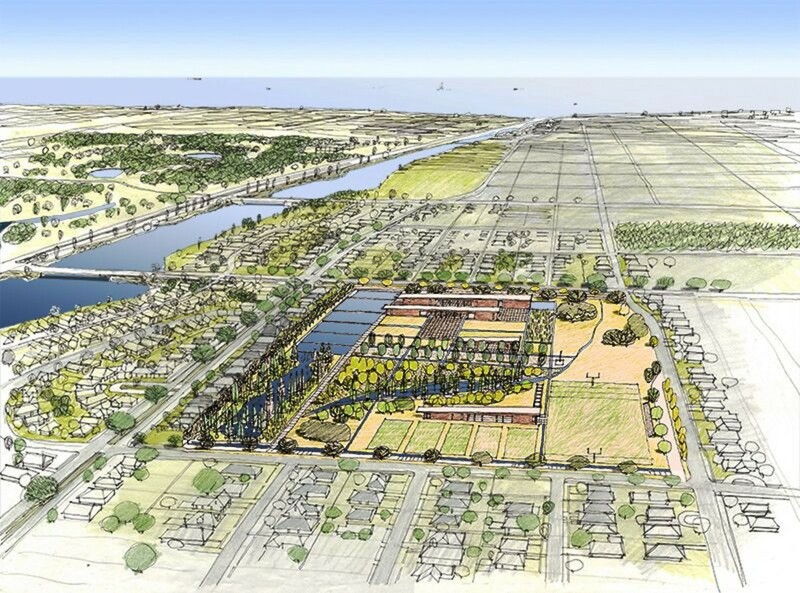 When Greater New Orleans, Inc. put out a bid for a team to develop the plan, Waggonner leapt at the chance to put into action the ideas he’d already spent years developing via the Dutch Dialogues, a series of workshops centered around the potential application of Dutch approaches to water management and landscape architecture in New Orleans. The workshops changed the way Waggonner and his team thought about “what was possible in urban terms,” he explains, by stressing development that focused on “how you might re-make the city but not ignore what was here.” Once the plan was crafted, the team advocated for the city government to adopt it — and it did. The next stage will be to implement that plan in order to show both the community and investors what water management is, how it works, and how the public can benefit from it. I visited the site of the future water garden while I was in New Orleans to attend the first-ever RES/CON, a global resiliency conference. In post-Katrina New Orleans, resilience has come to mean working not just to build the city back up, but to build it better. As Mayor Mitch Landrieu said at the conference’s opening session, the city has been forever “under assault,” and, because of the challenges it faces, New Orleans must make an industry of resilience. In building this resilience industry, the Crescent City has become an ideal place for pilot projects like the Gentilly Resilience District. Throughout its existence, New Orleans has built against the water in an effort to control it. This is just as evident with the early settlements, which were placed at the land’s highest point, as it is with the towering levees of the modern era. Pumping technology first made municipal drainage possible in the early 20th century, which led to draining swamps and building on lower ground — like the cypress swampland that much of Gentilly once occupied. (Gentilly now averages eight to nine feet below sea level.) Since then, the stakes for controlling and filtering out water have only grown. “The Urban Water Plan represents the larger realization that we cannot continue to simply build our way out of our environment,” Hebert says. Or, as he bluntly put it at a RES/CON panel on disaster resilience, “We can’t pump our way out of this.” In a city made viable by the power to pump out water, what the Mirabeau Water Garden and the rest of the Gentilly projects seek to do is keep the water in. A rendering for the future Mirabeau Water Garden. “What you see in New Orleans is street flooding and the impact of subsidence,” says Robin Barnes, vice president of Greater New Orleans, Inc. 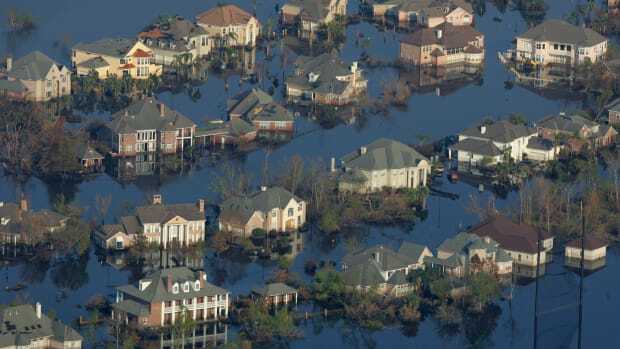 When you remove all the water from the soil and the sediments cannot naturally be replenished by flooding — thanks to the levees — the already-low land is inevitably going to sink. Subsidence, or the sinking and settling of the soil due to the water being pumped out of it, is responsible for pot holes, perpetually buckling roads, and houses that lean to one side. It has also made low-lying areas like Gentilly all the more vulnerable to flooding. Driving around Gentilly, it’s possible to see both its vulnerability — places where the London Avenue Canal flood walls failed during Katrina, the subsiding ground that slopes lower and lower — and the beginnings of the changes ahead, including one of six rain gardens created by the New Orleans Redevelopment Authority in 2014 as a test project. The 11,100-square-foot test site, which has been planted with water-absorbing native trees and shrubs, is designed to hold up to 89,000 gallons of water before gradually releasing it. A runnel (read: tiny channel beneath the sidewalk) allows water that has overwhelmed the gutters to enter the garden, thereby taking pressure off the drainage system. The rain garden is proof of concept; Mirabeau will be a real model. “The idea of Mirabeau,” according to City of New Orleans Resilience Project Manager Jared Genova, “is this times a thousand.” Mirabeau will be able to store more than nine million gallons of water. At a time when each new week brings with it more and scarier climate change stories on a global scale, plans for the water garden offer a constructive neighborhood-level narrative. If successful, the project will help to show that keeping water in, and keeping water visible, can be an asset for a community and not something to fear. Better water management can’t completely undo New Orleans’ vulnerability as a below-sea-level bowl that will sometimes fill with water, nor can it change the likelihood that climate change will increase the frequency and strength of future storms. As Waggonner puts it, “There’s a certain accounting that you can’t reverse.” But projects like the Mirabeau Water Garden reflect both infrastructure innovations and a new mindset about water management that have the potential to not only provide flood protection, but to transform and strengthen communities while creating opportunities for education, recreation, and even jobs. It’s exciting to consider the implications these projects could have if their principles are applied more broadly, but it’s just as thrilling to simply imagine the difference the Mirabeau Water Garden will make to the surrounding Filmore neighborhood and the rest of Gentilly. “The scale imposed on this landscape is beyond us,” Waggonner says. The systems at play are enormous, so how can we understand and interact with them? One answer: Take advantage of opportunities on a smaller scale, insert water into places in the city, bring a bit of ecological value. Work at the scale of people, neighborhoods. Build rain gardens. 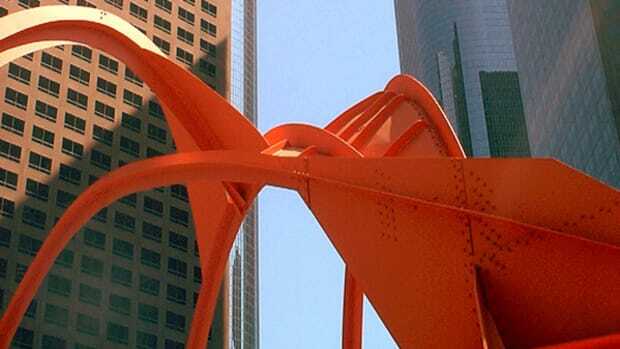 The City of the Future: Can Los Angeles Reinvent Itself All Over Again? Three bold plans to turn L.A. into a better, more sustainable version of itself, one that will be able to meet the formidable water, air, and climate challenges of the 21st century. Mother Nature needs to be allowed to protect New Orleans from ... Mother Nature. A flood of ideas has brought unacknowledged progress toward a 'new' New Orleans, but big business still has to be persuaded to invest. Residents of New Orleans’ beleaguered Lower 9th Ward debate ownership models that they hope will bring life to their depopulated neighborhood. 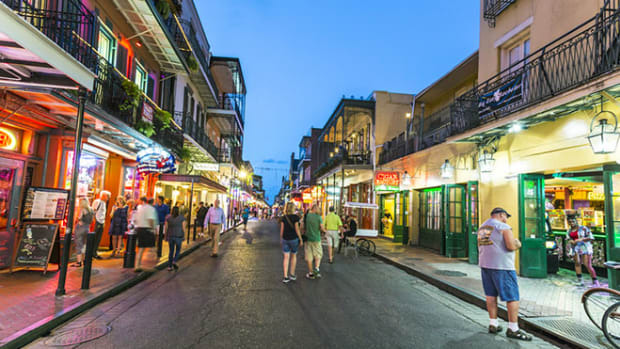 Experiencing the liquor laws of The Big Easy can remind you of the power of culture to render alternative ways of life invisible.